38.367°N 22.073°E – Welcome to Trizonia! 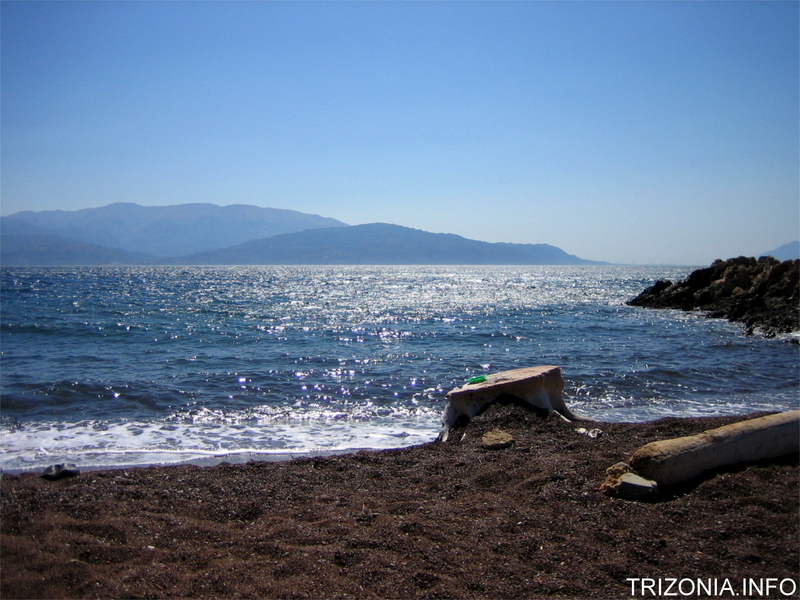 Trizonia Island is a truly inspiring place and one of the last of its kind. 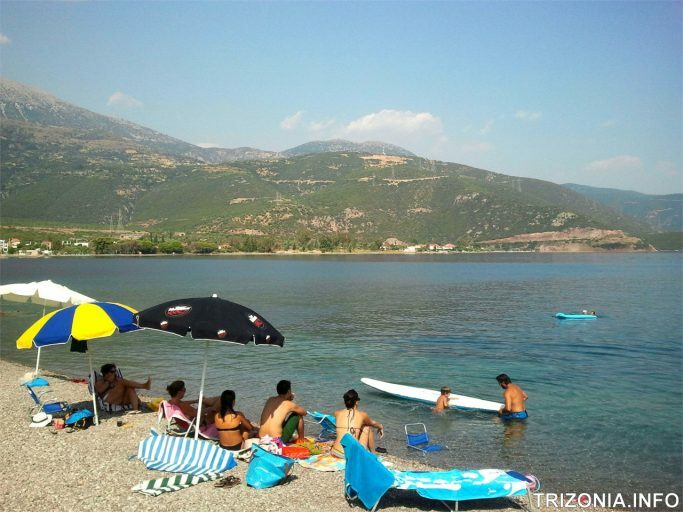 It is the only inhabited island in the entire Gulf of Corinth, located between mainland Greece and the Peloponnese, and constitutes the perfect place to relax. There are almost no cars on the small 2,5 km² island and no hordes of backpackers or overcrowded beaches, typical for many other Mediterranean holiday destinations, interfere with the island’s natural Greek charm. This unique character already tempted the infamous Greek shipping tycoon Aristoteles Onassis to make a failed bid to acquire the island in the 1960s. The island’s picturesque flora and fauna and its magnificent hilly landscape dotted with olive trees and grape-vines encourage for exploration, while several beautiful beaches and the uninhabited nearby islets of St John, Prasoudi, and Planemi invite for a fantastic swimming experience in crystal-clear Mediterranean waters. The idyllic village centre adjoining the island’s small fishing port invites to spend a perfect evening in a magical and child-friendly atmosphere, while numerous excellent Tavernas and Bars offer traditional Greek dishes, fresh seafood, and refreshing drinks in good company. Moreover, the Taverna “Porto Trizonia” also holds the island’s only “Mini Market”, where all daily errands can be made. Regarding accommodation, visitors to Trizonia currently have the choice between three outstanding family-run hotels and stunning private lodging, which guarantee for a truly unforgettable stay on the island. Finally, the Gulf of Corinth is a highly-frequented Mediterranean sea road connecting the Ionian and the Aegean Sea. 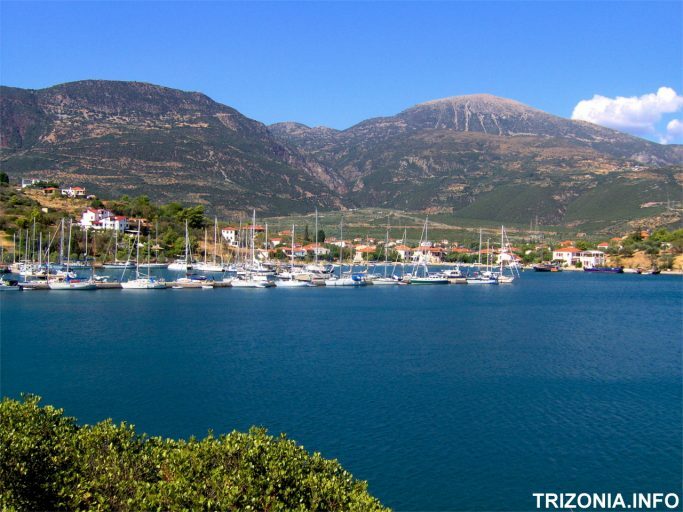 Due to its large marina that holds place for up to 150 yachts and its well-protected natural bay that offers ideal anchoring conditions, Trizonia also constitutes the perfect opportunity for a relaxed layover for travelling boats and their crews. There are numerous small fishing villages scattered alongside the mainland’s coast close to Trizonia which invite to enjoy fresh seafood in an idyllic atmosphere. Yet the wider area around Trizonia also offers many possibilities for exciting daytrips and historical excursions and due to the advantageous location of the island in the central Greek district of Fokida it constitutes the perfect launching pad for exploration. Nafpaktos is the closest urban centre which can be reached in under 20 minutes from Trizonia. This charming city is famous for its historical venetian harbor (“Battle of Lepanto”) and its mountainous castle which overlooks the Gulf of Corinth. It also offers visitors comprehensive shopping facilities and tourism services, a health care centre, banks and ATMs, as well as amazing restaurants and a vibrant nightlife. Located at the western opening and on the Peloponnesian side of the Gulf is Patras; Greece’s third-largest city and a main Mediterranean sea-trade hub. The country’s “Gate to the West” can be reached in around 30 minutes from Trizonia via one of the longest cable-bridges in the world, the impressive Rio-Antirio Bridge. Besides numerous touristic attractions like the city’s Roman Odeon and Archaelogical Museum, the 2006 European Capital of Culture also hosts one of Europe’s largest carnival celebrations each year. Moreover, a visit to the Achaia Clauss Winery, notorious for its Mavrodaphne red wine, is a must for any visitor to the area. Delphi and its world-renown Oracle are barely an hour away from Trizonia. This truly legendary site holds everything for researchers of Ancient Greece and hiking enthusiasts alike; also, as the E4 European Long Distance Path also passes through here. Notably, moreover, it is located at the south-western foot of Greece’s main skiing area during wintertime, Mount Parnassus. Located half way towards Delfi is Galaxidi, the romantic coastal town built on Ancient Haleion where the so-called “Flour Wars” take place each year at the end of the carnival season. The town also invites to enjoy a wonderful dinner at its enchanting waterfront and there is a small marine museum well worth a visit. 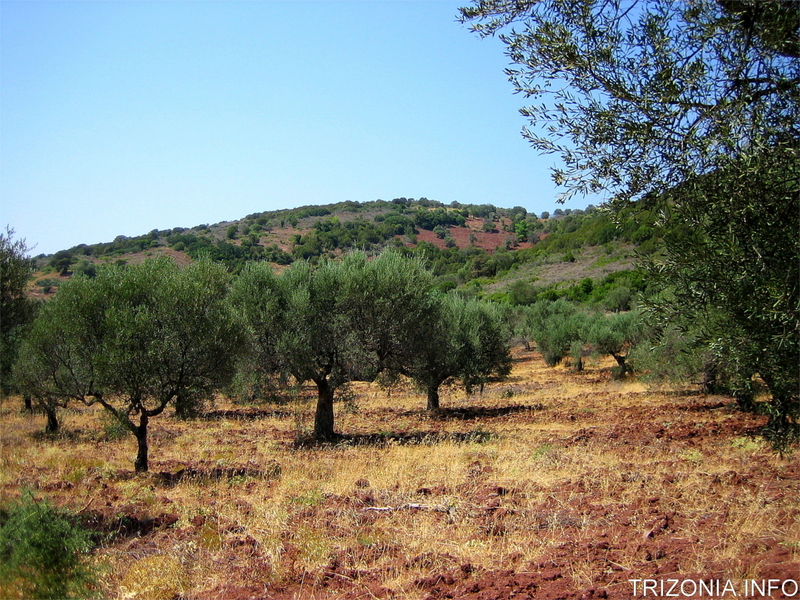 A bit farther away from Trizonia but still reachable in under 2 hours are both the ancient cities Olympia (to the south-west) and Corinth (to the east). Enjoy an afternoon tracing the origins of the Olympic Games in the “Valley of Gods” or hiking to the acropolis of ancient Corinth, the Acrocorinth, and be back in time for another wonderful dinner on Trizonia. Copyright © 2019 Trizonia Island. Theme: Himalayas by ThemeGrill. Powered by WordPress.